Bhangarh Fort is an ancient fort that dated back to 17th century and was built by Man Singh, who was one of the ministers and (navrathnas) in the court of the Mughal Emperor Akbar. The fort was specially built for Madho Singh II who was the grandson of Man Singh. The fort is a true legend and is well preserved by the Government of Rajasthan very well. 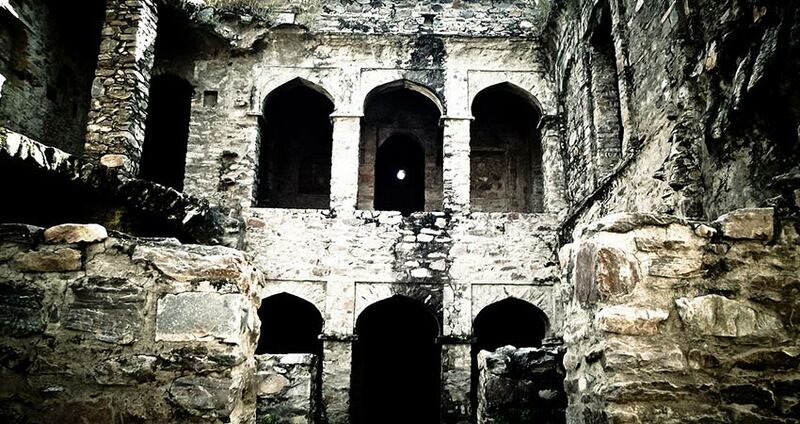 But due to many ancient and old Bhangarh Fort incidents the fort has been in the wrong news and called as “haunted”. And due to this there are many scientists and paranormal activists stayed at Bhangarh Fort at night to see if there are any such incidents happen where it has been told that it is a hub of insatiate souls and those may harm normal people. There is a legal obligatory also mentioned by the Archaeological Survey of India outside the fort that any tourist should not stay nearby the fort after sunset, and the local people also maintain this time punctually for their safety from the fort and its spirits. Many people took a chance to visit here to find out the facts behind the Bhangarh Fort stories and they provided mixed responses about the fort. History of Bhangarh Fort – What legends Say? There is some very popular Bhangarh fort haunted stories are there and many unusual Bhangarh fort incidents are heard that the local people of the village avoid going near the fort after the sunset. According to the legends, it is said that the Princess of Bhangarh “Ratnavati’ was an extremely beautiful lady and once a wicked wizard fall in love with here and wanted to marry her. Though she was very beautiful she has many suitors and one day she went to the market with her friends and was buying ‘ittar’ or perfume. And using the chance the wizard replaced the perfumed with a magic potion to make the princess fall for but somehow with the help of the magic tricks the princess understood his charm and avoids putting it. Failing the previous incident the wizard offered a bowl of magic potion to the princess but she threw it on the wall and hit a boulder, which consequently rolled down and crushed the wizard. The dying wizard cursed the fort and the princess that no one will survive here. After some time according to the history of Bhangarh fort the fort was attacked by the Mughals and more than 10000 people killed in that attack including the princess. And from that time it is believed that the souls of the wizard and the princess stay here and there are many paranormal incidents took place claiming many lives of the people who tried to find out the fact. There are many groups of students who were interested in finding the mystery and reached from Delhi to Bhangarh fort, to find the truths behinds the parables and the heard facts about Bhangarh fort, and some of them heard some noises, and screams and some of them did not listen to any sounds, so it could be said that there are many people who actually heard nothing or just believed what other people said about the fort. But when it comes to local people majority of them avoid talking about the fort and some of them also heard the screams and unusual sounds but nothing has been proved. Apart from the Bhangarh Fort Haunted stories there are some good things that can also be seen here and can be treated as a part of your tour itinerary. The temple will not come up to you as a haunted one but the tourist can see really some beautiful temples that are made in the entrance and they are Someshwar Temple, Keshav Rai Temple, Mangla Devi Temple, Hanuman Temple, Gopinath Temple, Ganesh Temple and Navin Temple. The fort is surrounded by Aravalli Hills and just a few kilometers away from Sariska Tiger Reserve. Among them the tourists can see the beautiful The Gopinath Temple which is built above 14 feet height raised plinth and also decorated with bright yellow stones are stunning and exquisite carvings are made on it. This temple is a true example of beautiful Rajput architecture. There is a small palace which is called as the residence of the priest and named as the Purohitji Ki Haveli which is located within the boundaries of the temple complex. The tourists can also get a look to the Nachan Ki Haveli which is actually the dancer’s palace who used to perform in front of the king. There is a Jauhari Bazar or the marketplace of the palace where people used to shop for their daily needs or the local market and there is another temple which known as Gopinath Temple. And lastly one can visit the Royal Palace which is located at the extreme end of the fort’s boundaries and the tourists can see the palace where the princess used to stay and other areas. While talking about facts about Bhangarh fort then there are indeed stories of curse and ghosts all around but nothing has been proved till date and there are many stories of losing life whosoever came near t the fort but all of them are coincidental and have no proof related to the fort. But as you stay to any nearby hotel you can enjoy the nice chirping of the birds and the early morning really is beautiful that can show you the local monkeys and langurs playing on the trees and you can really feel refreshed to see the environment. So there will be no ghosts to scare you but you can have a nice trip if you are in Jaipur and Jaipur to Bhangarh Fort will take you a nice day trip which will be a mix of curiosity and excitement and a beautiful fort. Tourist can easily reach Bhangarh Fort From Delhi, Alwar, Jodhpur, Jaipur. Bhangarh Fort is located in Alwar district about 90 km away from Alwar City. Bhangarh Fort From Alwar : Being located in Alwar District, Bhangarh is located about 90 km from Alwar City in the outskirts of Sariska National Park. Tourist can take buses of taxi from Alwar to Bhangarh. Bhangarh Fort from Delhi : One can easily reach Bhangarh from Delhi since Alwar City is well connected to Delhi. Delhi is about 269 km from Bhangarh. One can easily reach Alwar via Neemrana from Delhi taking NH8. When you reach Neemrana move further and take NH 11A and travel for about 50-55 km where you will find Rajasthan SH 55 which will take you directly to Bhangarh Fort. Bhangarh Fort From Jaipur : Jaipur the capital city of Rajasthan is well connected to Alwar and Bhangarh. Once can easily reach Bhangarh from Jaipur by taking buses of a taxi. It is about 84 km away from Jaipur City. From Jaipur, you need to take National Highway to Agra and upon reaching Dausa, you need to change to NH 11A. After traveling for about 15 km you will encounter SH 55 continue on it till you reach Bhangarh.